The first special version was called Tivoli Black Edition. Buy it in Italy it is already possible. The body of the car is made entirely in black. A similar color was obtained for 18-inch wheels and exterior mirrors. Dark is also present in the interior. In the environment of the list of new equipment there is a system for preventing a frontal collision, automatic emergency braking, multimedia with a touchscreen, a rear camera, and a "cruise". According to the type of the standard model, in Italy the car is sold with a petrol 1.6-liter unit for 128 "horses", a 1.6-liter diesel engine for 115 hp. and the 1.6L engine, which functions on gas. Each motor is provided with a MCP or automatic transmission. 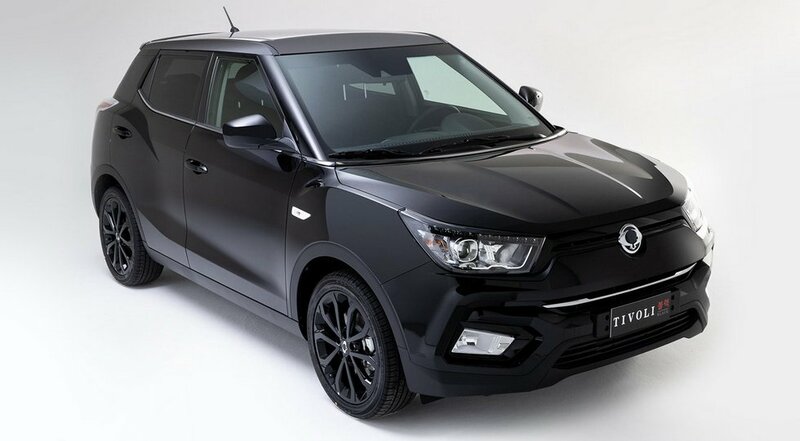 SsangYong Tivoli Black Edition is estimated at a minimum of 21,250 euros. We add that this year Italy will receive 2 more special versions of the K Collection. One car is expected for September, the second - for December.